Yesterday, I started noticing tweets about literature related to the events unfolding in Ferguson, Missouri. The events there and the very different reactions to them just confirm that we need diverse literature. 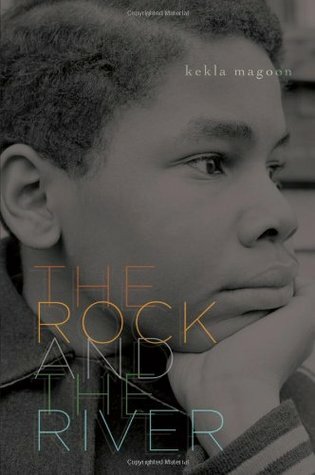 One YA title that immediately popped into my mind was Kekla Magoon’s The Rock and the River. 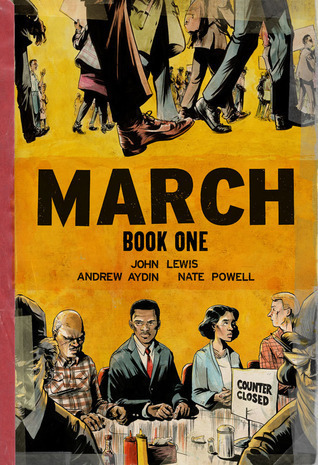 In that book and in the sequel, young people see injustice around them and are moved to action. What I really appreciated about The Rock and the River was that Magoon acknowledged that there are gray areas. Activism is messy and it’s not just perfect people against evil people. 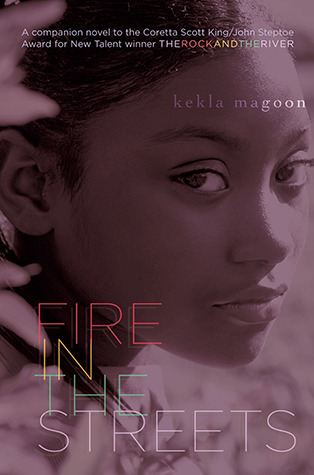 In her excellent blogpost, “The Violence in Missouri: Writers and Artists Respond,” Lyn Miller-Lachmann also mentioned Kekla Magoon’s books among others. 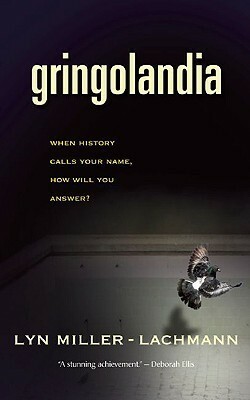 In her own book Gringolandia, Lyn has also written about social justice issues and activism. 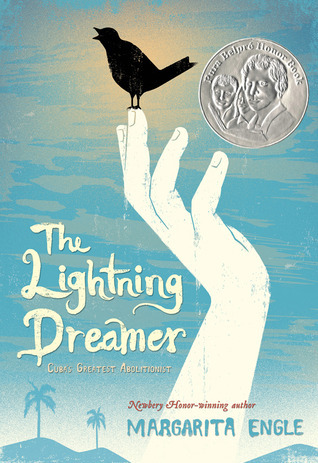 There are quite a few titles available for children and young adults that deal with social justice issues and activism. There are already a few lists circulating online. School Library Journal created a list of resources on their blog, Understanding Ferguson: Resources on Protest, Nonviolence, and Civil Rights. In that post, they pointed to the work that Left Bank Books (a bookstore in St. Louis) is doing. Left Bank is curating a list they have named #Ferguson – How We Got Here. Their list includes titles from picture books through adult. There are also two hashtags on Twitter that are related to this subject if you want more titles. For any and all ages see #FergusonReads and for children’s lit see #KidLit4Justice. Here are a few titles that are specifically YA. Sam wants to believe that his father is right: You can effect chnage without using violence. But as time goes on, Sam grows weary of standing by and watching as his friends and family suffer at the hands of racism in their own community. Sam beings to explore the Panthers with Stick, but soon he’s involved in something far more serious — and more dangerous — than he could have ever predicted. Sam is faced with a difficult decision. Will he follow his father or his brother? His mind or his heart? The rock or the river? Maxie knows all about how fire can erupt at a moment’s notice, especially now, in the sweltering Chicago summer of 1968. She is a Black Panther—or at least she wants to be one. Maxie believes in the movement. She wants to belong. She wants to join the struggle. But everyone keeps telling her she’s too young. At fourteen, she’s allowed to help out in the office, but she certainly can’t help patrol the streets. Then Maxie realizes that there is a traitor in their midst, and if she can figure out who it is, it may be her ticket to becoming a real Panther. But when she learns the truth, the knowledge threatens to destroy her world. Maxie must decide: Is becoming a Panther worth paying the ultimate price? There are two secrets Evelyn Serrano is keeping from her Mami and Papo? her true feelings about growing up in her Spanish Harlem neighborhood, and her attitude about Abuela, her sassy grandmother who’s come from Puerto Rico to live with them. Then, like an urgent ticking clock, events erupt that change everything. The Young Lords, a Puerto Rican activist group, dump garbage in the street and set it on fire, igniting a powerful protest. When Abuela steps in to take charge, Evelyn is thrust into the action. Tempers flare, loyalties are tested. 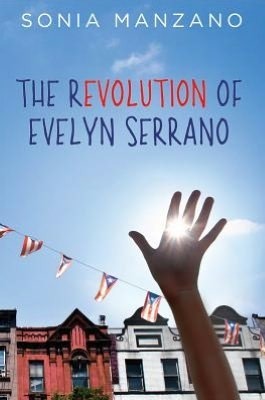 Through it all, Evelyn learns important truths about her Latino heritage and the history makers who shaped a nation. Infused with actual news accounts from the time period, Sonia Manzano has crafted a gripping work of fiction based on her own life growing up during a fiery, unforgettable time in America, when young Latinos took control of their destinies. 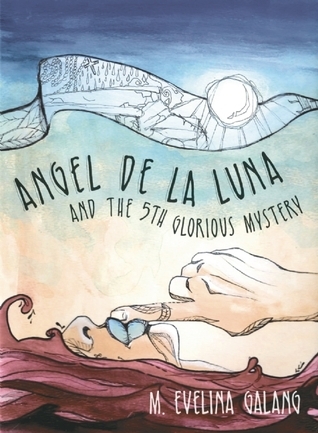 Angel has just lost her father, and her mother’s grief means she might as well be gone too. She’s got a sister and a grandmother to look out for, and a burgeoning consciousness of the unfairness in the world—in her family, her community, and her country. Set against the backdrop of the second Philippine People Power Revolution in 2001, the contemporary struggles of surviving Filipina “Comfort Women” of WWII, and a cold winter’s season in the city of Chicago is the story of a daughter coming of age, coming to forgiveness, and learning to move past the chaos of grief to survive. It is 1896. Cuba has fought three wars for independence and still is not free. People have been rounded up in reconcentration camps with too little food and too much illness. Rosa is a nurse, but she dares not go to the camps. So she turns hidden caves into hospitals for those who know how to find her. Black, white, Cuban, Spanish—Rosa does her best for everyone. Yet who can heal a country so torn apart by war? Acclaimed poet Margarita Engle has created another breathtaking portrait of Cuba. Daniel’s papá, Marcelo, used to play soccer, dance the cueca, and drive his kids to school in a beat-up green taxi—all while publishing an underground newspaper that exposed Chile’s military regime. After papá’s arrest in 1980, Daniel’s family fled to the United States. Now Daniel has a new life, playing guitar in a rock band and dating Courtney, a minister’s daughter. He hopes to become a US citizen as soon as he turns eighteen. “I find it so easy to forget / that I’m just a girl who is expected / to live / without thoughts.” Opposing slavery in Cuba in the nineteenth century was dangerous. The most daring abolitionists were poets who veiled their work in metaphor. Of these, the boldest was Gertrudis Gómez de Avellaneda, nicknamed Tula. In passionate, accessible verses of her own, Engle evokes the voice of this book-loving feminist and abolitionist who bravely resisted an arranged marriage at the age of fourteen, and was ultimately courageous enough to fight against injustice. Historical notes, excerpts, and source notes round out this exceptional tribute. 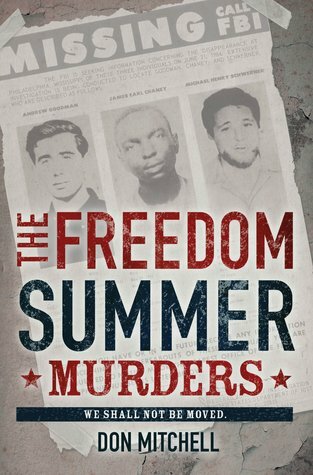 To coincide with the 50th anniversary of the Freedom Summer murders, this will be the first book for young adults to explore the harrowing true story of three civil rights workers slain by the KKK. In June of 1964, three idealistic young men (one black and two white) were lynched by the Ku Klux Klan in Mississippi. They were trying to register African Americans to vote as part of the Freedom Summer effort to bring democracy to the South. Their disappearance and murder caused a national uproar and was one of the most significant incidents of the Civil Rights Movement, and contributed to the passage of the Civil Rights Act of 1964. Yummy: The Last Days of a Southside Shorty by G. Neri with illustrations by Randy DuBurke In August of 1994, 11-year-old Robert “Yummy” Sandifer — nicknamed for his love of sweets — fired a gun at a group of rival gangmembers, accidentally killing a neighborhood girl, Shavon Dean. Police searched Chicago’s southside for three days before finding Yummy dead in a railway tunnel, killed by members of the drug gang he’d sought to impress. 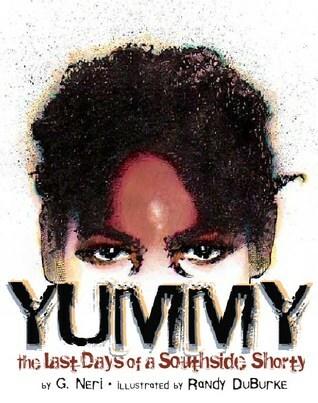 The story made such an impact that Yummy appeared on the cover of TIME magazine, drawing national attention to the problems of inner city youth in America. Yummy: The Last Days of a Southside Shorty relives the confusion of these traumatic days from the point of view of Roger, a neighborhood boy who struggles to understand the senseless violence swirling through the streets around him. Awakened by the tragedy, Roger seeks out answers to difficult questions — was Yummy a killer or a victim? Was he responsible for his actions or are others to blame? While the final title (Yummy) is not really about activism, it brings up many questions about justice, violence, and our communities. These are issues that young people are seeing in the news and possibly experiencing in their own lives. Literature is one way to open the door for discussion. If you know of any other titles that would fit in with this list, please let us know in the comments. Thanks for this post, Crystal. 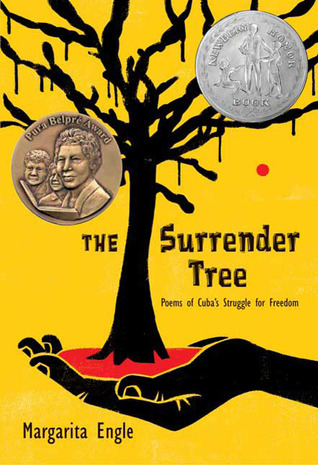 I’m always looking for books to add to my blog: Kid Lit About Politics. I’ve reviewed a few of these already, but not all. Thanks again! Thank you for the shout-out for my blog and Gringolandia. Another international book that I would recommend, especially for younger YA, is Lynn Joseph’s THE COLOR OF MY WORDS. It’s set in the Dominican Republic, and the protagonist’s beloved older brother is shot by police in a protest to stop a hotel developer from destroying their beachside village. I specialize in books for african american and latino kids who are poor, homeless or incarcerated. These titles tend to be YA or Adult titles and have been tested out on teens across the country for books that they actually read. Kekla Magoon’s newest book, How It Went Down is about a white person who shoots a black boy, and the perspectives of many people involved. A standout, and the kids are reading it.